Impact drivers are in constant use in the motor vehicle workshop. Which is why the professional appreciates greatly the quality and performance of this everyday companion. 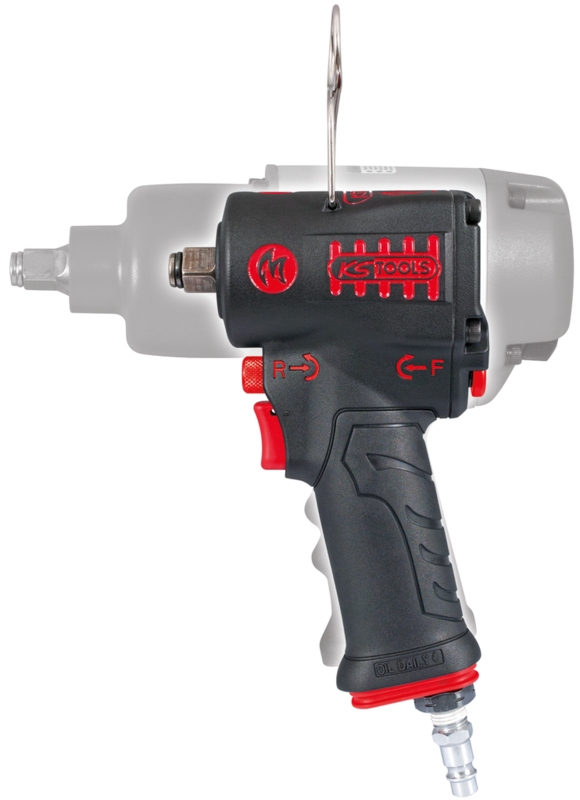 KS Tools now has an even more powerful mini impact screwdriver on offer which is extraordinarily robust. 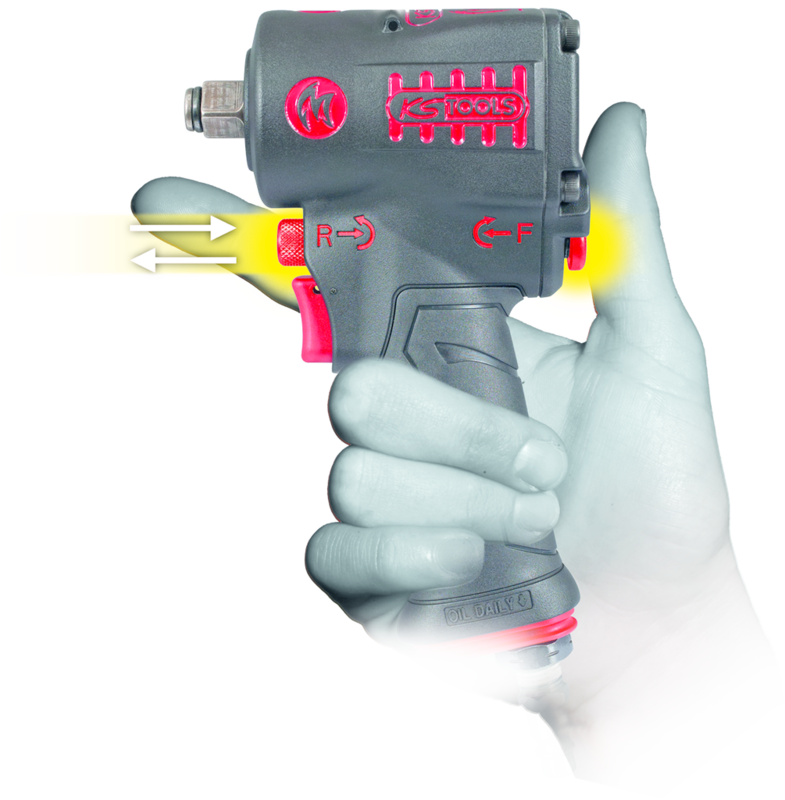 The half-inch compressed air impact driver from the Monster edition does a lot of what its big brother can only manage with effort. 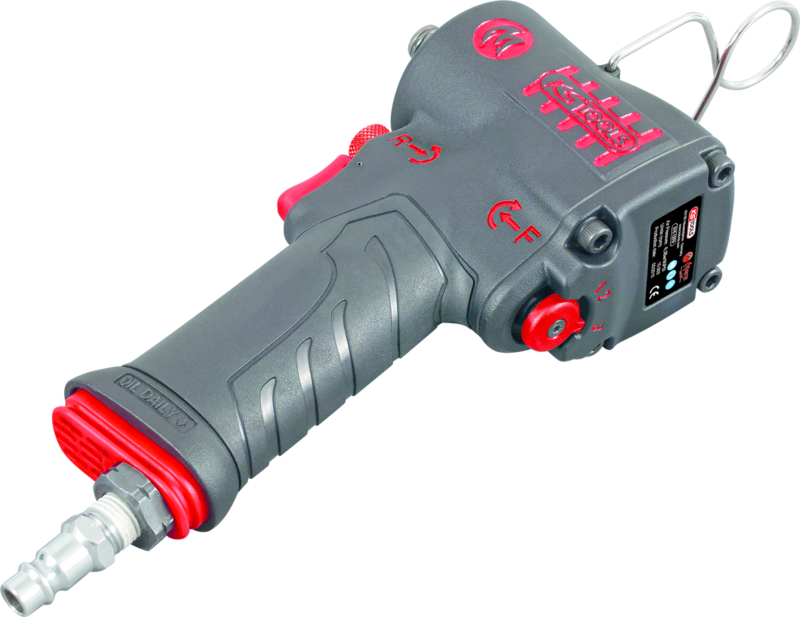 Its highly compact design with all the controls easily reached makes it a useful and highly versatile tool in application. The mini impact driver enhances the existing Monster edition which has long been a real KS Tools bestseller. The KS Tools product number is 515.1270. With 1,390 Nm, the new, small Monster edition impact driver achieves a great deal. It‘s not only especially robust, it’s also very powerful. With the new Mini design, KS Tools is trusting to reliable engineering and is further extending the Monster range. Its big brother, with its big power, has also proven itself a thousandfold since its market introduction. 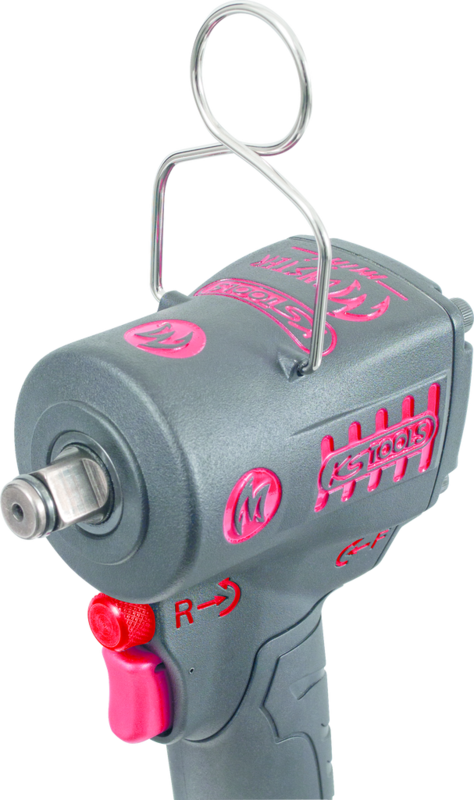 The Mini impact driver is particularly user friendly due to its very compact design which means the controls are easily accessible with one hand. These are integrated into the body and protected in such a way that nothing can bend or break off even during uncontrolled impact. A further important point is its low weight. At close to 1.3 kilograms, this piece of equipment not only fits nicely in the hand but also makes for fatigue-free working. A technical innovation is the switchover slider with double function. This allows convenient setting of the rotation to clockwise /anticlockwise as well as a threefold torque preselection for both directions of rotation. 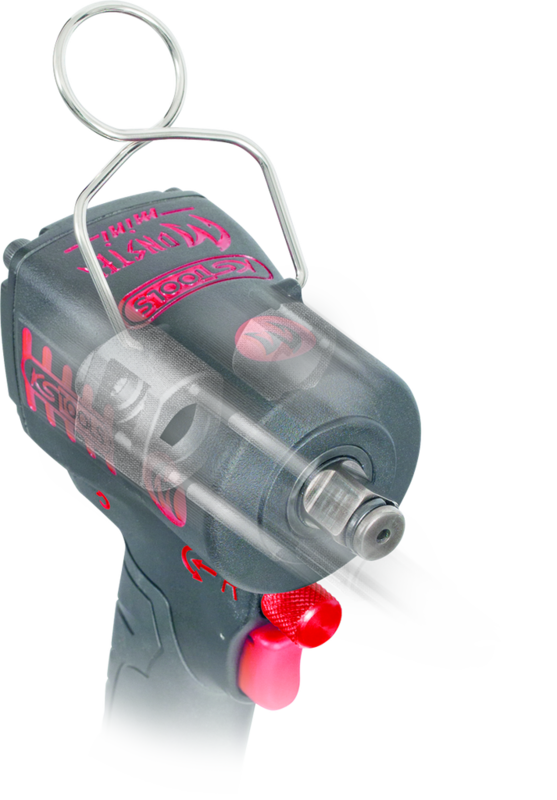 The Jumbo hammer impact mechanism works reliably and provides a loosening moment of 1,390Nm which is unrivalled in the mini-equipment market. That is all the more astounding as the width across corners of this little monster is a mere 95 millimetres. So the mini monster doesn‘t just undo wheels reliably but can even be used where conventional half-inch impact drivers cannot, due to insufficient room. The tool also has an attachment point for optionally fitting an extraction hose and a removable hanger.